Photo by Dan Norman. Design by Karen McCall. Special return engagement for 3 nights only! Join us for Thanksgiving weekend with Leonard Bernstein! 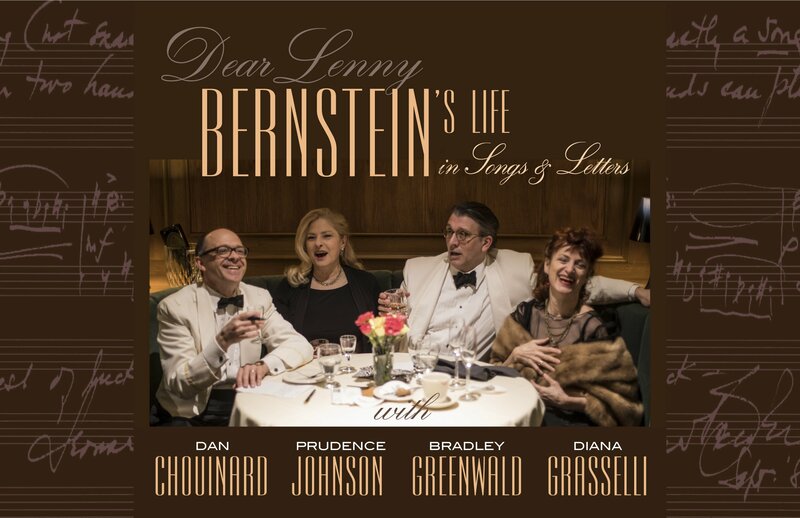 Back by popular demand, Bradley Greenwald, Prudence Johnson, Diana Grasselli, and Dan Chouinard return to present Dear Lenny: Bernstein’s Life in Songs & Letters, their meditation on Leonard Bernstein’s commitment to music, love, and the artist as progressive social activist. Tickets for this special event can be purchased here!